Video: Was There a ‘Beginning’ of the Universe? What an amazing event! Intriguing stories, great thinkers and most of all, a very entertaining gathering of some of the best in their field. I truly recommend watching both parts of the symposium, as part 2 has the questions and answers portion, with some extra enthusiasm with Neil deGrasse Tyson’s participation. Some topics in science, like quantum mechanics and evolution, are overwhelmingly confusing. I feel the majority of people do not take the time to understand science because of this particular reason. People confuse this confusion between sadness and frustration when instead it should be excitement and adventure. Richard Dawkins explains ” We evolved to avoid tigers in the wild, we didn’t evolve to do quantum physics.” Physics is a very exciting topic to me. I am awestruck with its principles, always a humbling experience and it is a very powerful tool to understanding the world around us. 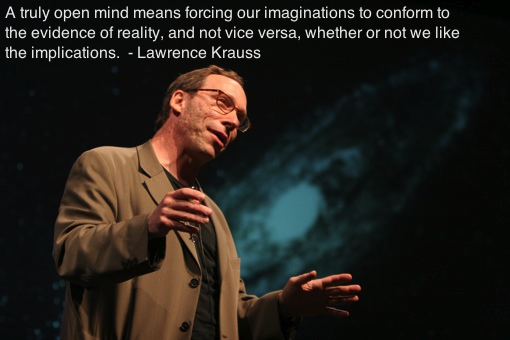 I think Lawrence Krauss is an excellent teacher of modern science. I recommend taking the time out of your busy schedule to understand this little bit of science. Enjoy! 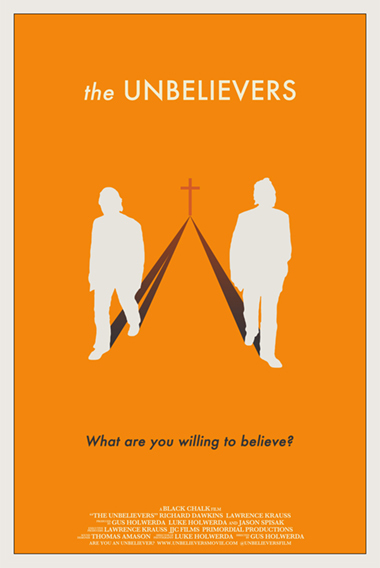 Video: Lawrence Krauss vs. Hamza Tzortzis: Islam or Atheism – Which Makes More Sense? Finally this debate is available online, after some controversy at the commencement of the seminar when Professor Krauss realized the audience was to be segregated (Professor Krauss’ protestations here). This is not one of my favorite debates, as it was infuriating at times, especially when you listen to an obnoxious speaker such as Hamza Tzortzis. He emphasizes the use of sophisticated and complicated words and portrays that he is well-read, but the end result is that his arguments are useless. For instance, his example of linking the Arabic language to the language of the Quran and then suggesting that they are not the same! This makes no sense at all!! What do you mean exactly? Are you saying that no one who speaks Arabic can understand the Quran, or no one actually has properly interpreted it? Does your argument lead to the conclusion that each individual person will have his or her own interpretation of it? He depends on the same argument over and over in most of his other talks such as the infinity argument, which Professor Krauss painted out as “wrong science”. Krauss, who was confident, blunt and strong in making his case (from the start of the debate before it even began) pointed out that the actual question of the whole debate is inappropriate. And this is, that unlike Islam, Atheism is not a belief system, it is common sense. If you have the patience, I recommend watching the whole debate. Enjoy!